Permian-age strata in the Hurricane Cliffs near Pintura, Washington County. 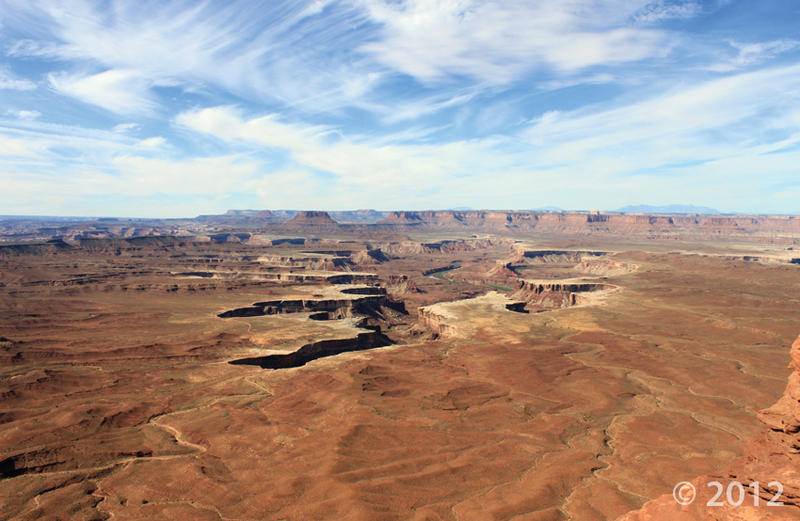 Uplift of the Colorado Plateau has caused the Green River to entrench its meandering path into the relatively soft rocks of the Permian-age Organ Rock Shale. At Soda Springs Basin, vertical cliffs of the more-resistant White Rim Sandstone cap the Organ Rock Shale 400 feet above the river. 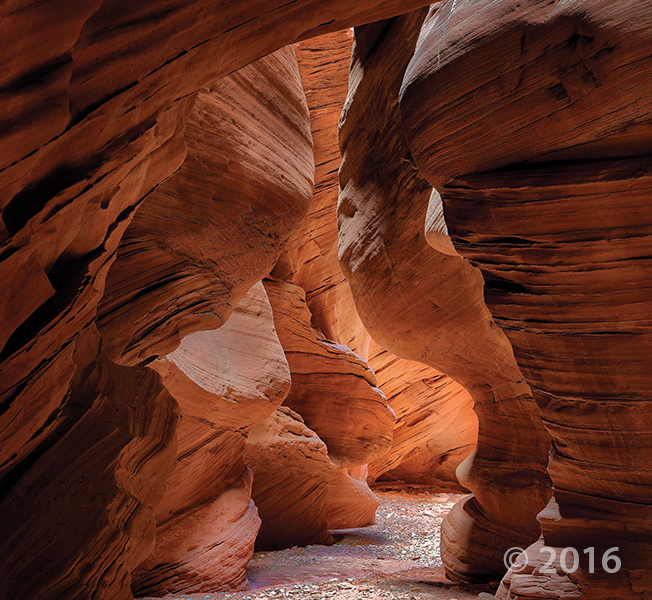 This scenery is no April Fools’—have a great afternoon! 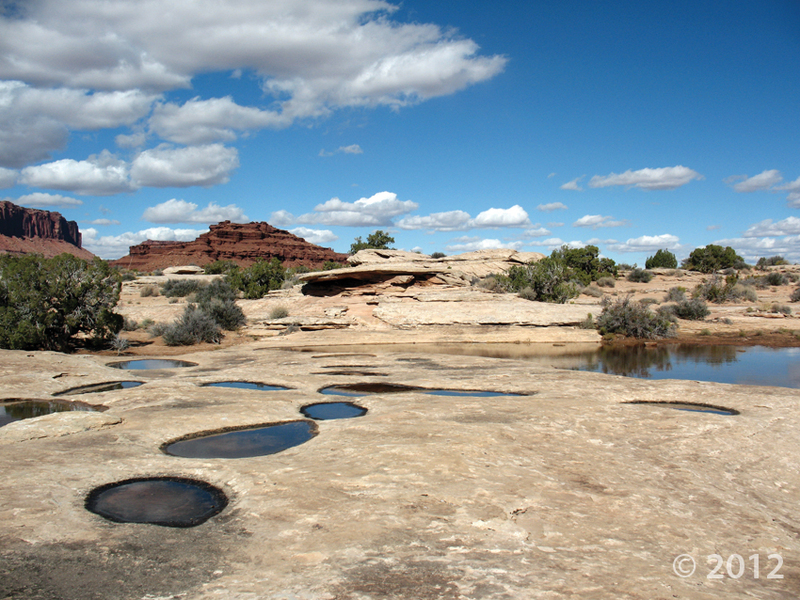 Water from a recent storm fills shallow pools on the Permian-age White Rim Sandstone near the White Rim Trail. The trail traverses a broad bench formed by the resistant sandstone above the confluence of the Green and Colorado Rivers. 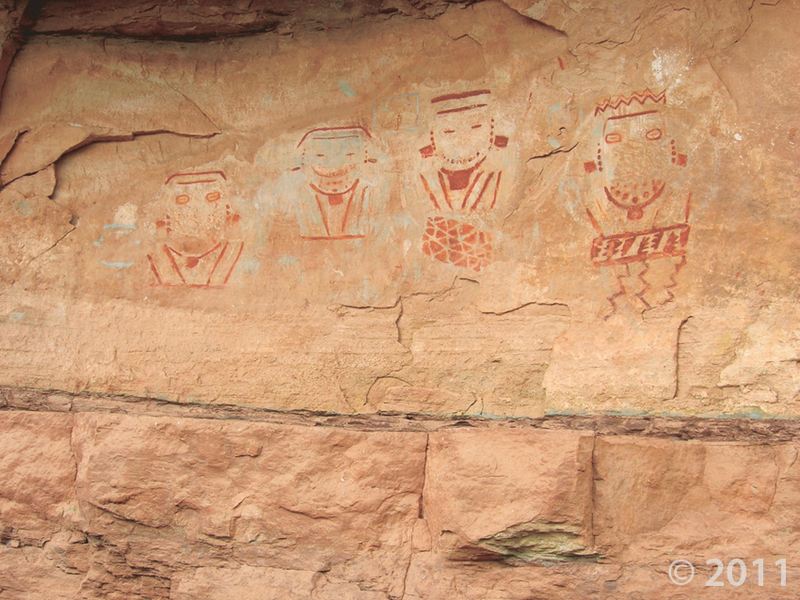 Pictographs painted about 1,000 years ago on a Permian-age Cedar Mesa Sandstone cliff face in Salt Creek Canyon, Canyonlands National Park, San Juan County. 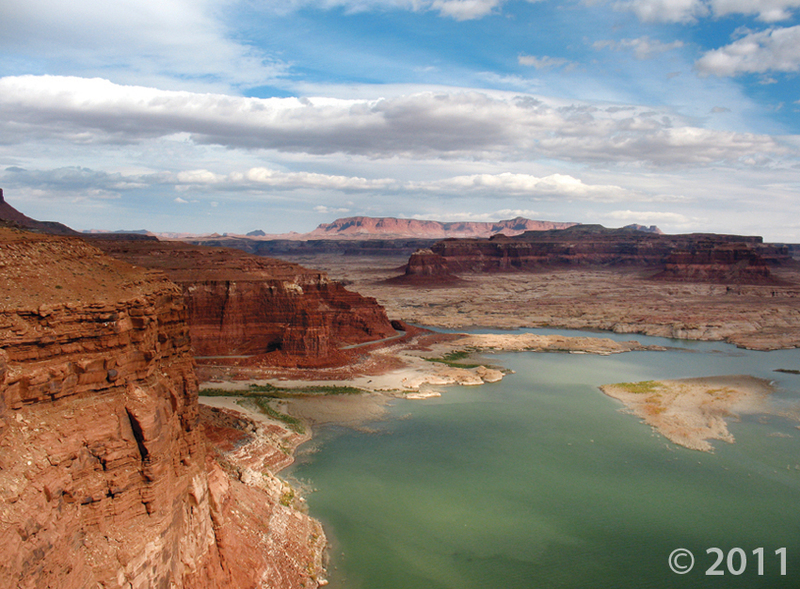 Permian- and Triassic-age sedimentary rocks color the shorelines of dam-impounded Lake Powell near the confluence of the Colorado and Dirty Devil Rivers. Although the lake water has submerged numerous relicts of ancient animal (including human) and plant life, traces of prehistoric life can still be found along the lake shores and in some tributaries.